This article is about the valley. For the park, see Death Valley National Park. For other uses, see Death Valley (disambiguation). Death Valley is a desert valley located in Eastern California, in the northern Mojave Desert bordering the Great Basin Desert. It is one of the hottest places in the world along with deserts in the Middle East. Located near the border of California and Nevada, in the Great Basin, east of the Sierra Nevada mountains, Death Valley constitutes much of Death Valley National Park and is the principal feature of the Mojave and Colorado Deserts Biosphere Reserve. 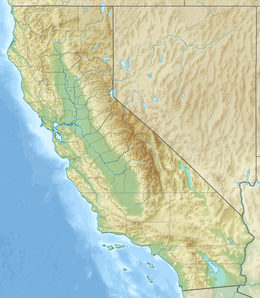 It is located mostly in Inyo County, California. It runs from north to south between the Amargosa Range on the east and the Panamint Range on the west; the Grapevine Mountains and the Owlshead Mountains form its northern and southern boundaries, respectively. It has an area of about 3,000 sq mi (7,800 km2). The highest point in Death Valley itself is Telescope Peak in the Panamint Range, which has an elevation of 11,043 feet (3,366 m). I wanted to make this video for two reasons. One: to share my Death Valley experience with friends, family, and you. And two: for it to serve as a guide for those who might be planning their own Death Valley trip- a very loose guide, but a guide nonetheless. Death Valley is one of the hottest places on earth in the summer months temperatures range anywhere from around 100 to 120 degrees Fahrenheit -or more. So as summer approaches, my friend Bobby and I decided to squeeze in a short trip before it gets too hot. I'm at Bobby's and I think he slept through his alarm, which is funny because the last trip we went on he also slept through his alarm. I was waiting for you to come out so I could record you and then your neighbor came out the other door and I wasn't paying attention and I was just recording her. From Los Angeles, Death Valley is about a four-hour drive. It doesn't actually feel that long though because the landscape constantly changes you've got green mountains, red rocks, farmland, small towns, deserts, and that kind of cycles until you get there. The plan for us was to make it a simple two-day trip: drive out Monday, spend the night in a motel, spend all day Tuesday exploring and then drive home in the late afternoon. I had already researched all the places we wanted to see so fitting it in would just be a matter of timing and managing any random adventures we wanted to take. Our first stop would be father Crowley Vista. Bobby's choice. It's where you can see military jets fly through the canyon. Bobby loves planes. Any time we drive past an airport he wants to stop or at least look so watching jets fly through Death Valley was a must for him. We read online that they fly pretty much every day. Some days you get quite a show and others it's pretty quiet. We had no idea what we were going to get. So we found a nice spot on the edge of the canyon and waited and waited and then As ready as we were, it happened so fast. It came out of nowhere. There's really no warning. As soon as we heard the jet and pointed our cameras at it, it was gone. At this point we were technically in the park but not down in the valley. That's where most of the sightseeing is... and the heat. Bobby are you ready to feel uncomfortable for the next 36 hours? oh it's hot 110. This is also where we ran into our first bit of trouble the air-conditioning in my car started blowing out hot air. Not good. We still had a day and a half left and ninety percent of it was down here. Death Valley is really just a lot of rocks, sand, and dirt, and heat but it's also got character and that's what makes it worth exploring. For example we found this ghost town on the very east side of Death Valley called Rhyolite. It was once a prosperous mining town in the early 1900's. Now it's just abandoned homes, a bank, and a very weird art museum. and then there's the Mesquite Flat Sand Dunes. Probably one of my favorite stops of the whole trip. When you come down the mountains and see them in the distance, they look tiny, minuscule, but when you get up close to them they're pretty massive. And you can just walk out as far as you want. We spent the night in a little town called Beatty. There's really not much there: a few motels, a couple restaurants, and a Denny's with the casino attached to it. In the morning we got coffee at a little diner and then headed back into the valley. Do you think it's gonna work? I do not think it's gonna work as well as it should. Does it feel cold? No. Wait, wait, wait. Yes it does. It feels mediocre. Bobby. No, that's better. Yeah that's working. Success. Day two was starting off strong. Badwater Basin was number one on my places-to-see list. It's a giant salt flat, nearly 200 square miles. It's also the lowest point in North America at 282 feet below sea level. For reference, there's Bobby and there's a sign for sea level. Bobby and I just walked out as far as we could. We're still walking. The path is getting a little less traveled, a little rockier. Bobby is leading the way. We went early in the morning to avoid the extreme heat, but it was already pretty bad. Bobby heard that the salt here basically tastes like pink Himalayan sea salt so he wants to test that theory out. No good? That's the saltiest thing I've ever tasted. I I'd put that on some steamed vegetables. Okay. Alright, so Bobby and I have gone as far as we're probably going to go. It's getting a lot hotter, a lot more nothing around here. We're gonna take a few pictures and then probably head back. The plan for day two was the started Badwater Basin and then drive back up, hitting all the major stops as we made our way out the park. For the sake of time, I'll just show you the highlights. Oh and my air conditioning stopped working again after Badwater. Our final stop was Dante's view. You drive 20 miles up the mountain and you're greeted with a beautiful view of the entire Valley. It's cool, it's relaxing, and as a nice wrap up to the day we could see our entire trip in the valley below. So it makes sense that I would end the video here, too, right? Well, I can't. Because that's not where this trip ended. As we were leaving, my car stalled out here. We waited a few minute, started to back up again and then it stalled out again here, in the middle of nowhere. I don't know much more about cars other than how to change a tire, but I do know being stranded in Death Valley is one of the last places you want to be. There's no cell service, no relief from the sun, and ranger patrol can be few and far between. There are a lot of details to this story but I want to keep it as short as possible, so here we go: Basically, we were able to stall out again in front of a restaurant that had the worst wifi ever. Here. I was able to get one text message through to my family in Michigan. My dad's a car guy and would likely know something. He was able to call the restaurant and talk me through some possible scenarios. Since the car was still driveable, Bobby and I were going to make our way out of the park until we had cell service and were near some type of town so we wouldn't be completely stranded. And somehow we made it. Just as we were getting off the highway in Lone Pine the car stalled again, the serpentine belt broke, and I was able to pull directly into a Comfort Inn. Side note: this is Mt Whitney. One of those is Mt Whitney. One of these. It's the highest point in the contiguous US. It's kind of cool that we got to see the lowest and highest points in the same day. Anyway, with shops being closed we rented a room, called the tow truck in the morning, and were towed to Ridgecrest 70-something miles away. Unfortunately the fix wasn't a simple belt replacement and the total repair cost was 750 dollars. With all that said I did have a good time. It was a rough ending but we did get to see everything we wanted to and we didn't get stranded in Death Valley. I'll take that. Death Valley, California, July 3, 2017, Sentinel-2 true color satellite image, scale 1:250,000. Death Valley is an excellent example of a graben, or a downdropped block of land between two mountain ranges. It lies at the southern end of a geological trough known as Walker Lane, which runs north to Oregon. The valley is bisected by a right lateral strike slip fault system, represented by the Death Valley Fault and the Furnace Creek Fault. The eastern end of the left lateral Garlock Fault intersects the Death Valley Fault. Furnace Creek and the Amargosa River flow through the valley but eventually disappear into the sands of the valley floor. Death Valley also contains salt pans. According to current geological consensus, at various times during the middle of the Pleistocene era, which ended roughly 10,000–12,000 years ago, an inland lake referred to as Lake Manly formed in Death Valley. Lake Manly was nearly 100 miles (160 km) long and 600 feet (180 m) deep, the end-basin in a chain of lakes that began with Mono Lake in the north and continued through multiple basins down the Owens River Valley through Searles and China Lakes and the Panamint Valley to the immediate west. As the area turned to desert, the water evaporated, leaving the abundance of evaporitic salts such as common sodium salts and borax, which were later exploited during the modern history of the region, primarily 1883 to 1907. Death Valley has a subtropical, hot desert climate (Köppen: BWh), with long, extremely hot summers and short, mild winters, as well as little rainfall. As a general rule, lower altitudes tend to have higher temperatures. When the sun heats the ground, that heat is then radiated upward, but the dense below-sea-level air absorbs some of this radiation and radiates some of it back towards the ground. In addition, the high valley walls trap rising hot air and recycle it back down to the valley floor, where it is heated by compression. This process is especially important in Death Valley, as it provides its specific climate and geography. The valley is surrounded by mountains, while its surface is mostly flat and devoid of plants, so much of the sun's heat can reach the ground, absorbed by soil and rock. When air at ground level is heated, it begins to rise, moving up past steep, high mountain ranges, which then cools slightly, sinking back down towards the valley more compressed. This air is then reheated by the sun to a higher temperature, moving up the mountain again, whereby the air moves up and down in a circular motion in cycles, similar to how a convection oven works. This heated air increases ground temperature markedly, forming the hot wind currents that are trapped by atmospheric pressure and mountains and thus stay mostly within the valley. Such hot wind currents contribute to perpetual drought-like conditions in Death Valley and prevent much cloud formation from passing through the confines of the valley, where precipitation is often in the form of a virga. Death Valley holds temperature records because it has an unusually high number of factors that lead to high atmospheric temperatures. The depth and shape of Death Valley influence its summer temperatures. The valley is a long, narrow basin 282 feet (86 m) below sea level, yet is walled by high, steep mountain ranges. The clear, dry air and sparse plant cover allow sunlight to heat the desert surface. Summer nights provide little relief, as overnight lows may only dip into the 82 to 98 °F (28 to 37 °C) range. Moving masses of super-heated air blow through the valley creating extremely high temperatures. The hottest air temperature ever recorded in Death Valley was 134 °F (56.7 °C) on July 10, 1913, at Furnace Creek, which is the highest atmospheric temperature ever recorded on earth. During the heat wave that peaked with that record, five consecutive days reached 129 °F (54 °C) or above. Some meteorologists dispute the accuracy of the 1913 temperature measurement. The highest surface temperature ever recorded in Death Valley was 201.0 °F (93.9 °C) on July 15, 1972, at Furnace Creek, which is the highest ground surface temperature ever recorded on earth, as well as the only recorded surface temperature of above 200 °F (93.3 °C). The greatest number of consecutive days with a maximum temperature of 100 °F (38 °C) or above was 154 days in the summer of 2001. The summer of 1996 had 40 days over 120 °F (49 °C), and 105 days over 110 °F (43 °C). The summer of 1917 had 52 days where the temperature reached 120 °F (49 °C) or above with 43 of them consecutive. Four major mountain ranges lie between Death Valley and the ocean, each one adding to an increasingly drier rain shadow effect, and in 1929, 1953, and 1989, no rain was recorded for the whole year. The period from 1931 to 1934 was the driest stretch on record with only 0.64 inches (16 mm) of rain over a 40-month period. On June 30, 2013, during the 2013 extreme heat wave, the mercury reached 129 °F (54 °C) at Furnace Creek station, which is the all-time highest air temperature recorded for June. The mean annual temperature for Death Valley (Furnace Creek Weather Station) is 77.2 °F (25.1 °C) with an average high of 65.2 °F (18 °C) in December, 66.9 °F (19 °C) in January, and 116.5 °F (47 °C) in July. From 1934 to 1961, the weather station at Cow Creek recorded a mean annual temperature of 77.2 °F (25.1 °C). The longest number of consecutive days where temperatures reached 90 °F (32 °C) or more was 205 from April to October 1992. On average, 192 days per year in Death Valley have temperatures that reach 90 °F or more. Before being moved to Furnace Creek, the weather station at Greenland Ranch averaged 194.4 days annually where temperatures reached 90 °F or more. The lowest temperature recorded at Greenland Ranch was 15 °F (−9 °C) in January 1913. The period from July 17–19, 1959, was the longest string of consecutive days where nighttime low temperatures did not drop below 100 °F (38 °C). The highest overnight or low temperature recorded in Death Valley is 110 °F (43 °C), recorded on July 5, 1918, and the current world record for highest overnight low. As recently as July 12, 2012, the low temperature at Death Valley dropped to just 107 °F (42 °C) after a high of 128 °F (53 °C) on the previous day. The only other location which matches Death Valley's overnight low temperature of 107 °F in recent years is Khasab Airport in Oman, which also recorded a low of 107 °F (42 °C) on June 27, 2012, and later one of 111.6 °F (44.2 °C) on June 21, 2017. Also on July 12, 2012, the mean 24-hour temperature recorded at Death Valley was 117.5 °F (47.5 °C), which makes it the world's warmest 24-hour temperature on record. The average annual precipitation in Death Valley is 2.36 inches (60 mm), while the Greenland Ranch station averaged 1.58 in (40 mm). The wettest month on record is January 1995, when 2.59 inches (66 mm) fell on Death Valley. The wettest period on record was mid-2004 to mid-2005, in which nearly 6 inches (150 mm) of rain fell in total, leading to ephemeral lakes in the valley and the region and tremendous wildflower blooms. Snow with accumulation has only been recorded in January 1922, while scattered flakes have been recorded on other occasions. In 2005, Death Valley received four times its average annual rainfall of 1.5 inches (38 mm). As it has done before for hundreds of years, the lowest spot in the valley filled with a wide, shallow lake, but the extreme heat and aridity immediately began evaporating the ephemeral lake. The pair of images (seen at right) from NASA's Landsat 5 satellite documents the short history of Death Valley's Lake Badwater: formed in February 2005 (top) and evaporated by February 2007 (bottom). In 2005, a big pool of greenish water stretched most of the way across the valley floor. By May 2005 the valley floor had resumed its more familiar role as Badwater Basin, a salt-coated salt flats. In time, this freshly dissolved and recrystallized salt will darken. The western margin of Death Valley is traced by alluvial fans. During flash floods, rainfall from the steep mountains to the west pours through narrow canyons, picking up everything from fine clay to large rocks. When these torrents reach the mouths of the canyons, they widen and slow, branching out into distributary channels. The paler the fans, the younger they are. In spite of the overwhelming heat and sparse rainfall, Death Valley exhibits considerable biodiversity. Wildflowers, watered by snowmelt, carpet the desert floor each spring, continuing into June. Bighorn sheep, red-tailed hawks, and wild burros may be seen. Death Valley has over 600 springs and ponds. Salt Creek, a mile-long shallow depression in the center of the valley, supports pupfish. These isolated pupfish populations are remnants of the wetter Pleistocene climate. Darwin Falls, on the western edge of Death Valley Monument, falls 100 feet (30 m) into a large pond surrounded by willows and cottonwood trees. Over 80 species of birds have been spotted around the pond. Death Valley is home to the Timbisha tribe of Native Americans, formerly known as the Panamint Shoshone, who have inhabited the valley for at least the past millennium. The Timbisha name for the valley, tümpisa, means "rock paint" and refers to the red ochre paint that can be made from a type of clay found in the valley. Some families still live in the valley at Furnace Creek. Another village was in Grapevine Canyon near the present site of Scotty's Castle. It was called in the Timbisha language maahunu, whose meaning is uncertain, although it is known that hunu means "canyon". The valley received its English name in 1849 during the California Gold Rush. It was called Death Valley by prospectors and others who sought to cross the valley on their way to the gold fields, after 13 pioneers perished from one early expedition of wagon trains. During the 1850s, gold and silver were extracted in the valley. In the 1880s, borax was discovered and extracted by mule-drawn wagons. Death Valley National Monument was proclaimed on February 11, 1933, by President Herbert Hoover, placing the area under federal protection. In 1994, the monument was redesignated as Death Valley National Park, as well as being substantially expanded to include Saline and Eureka Valleys. Death Valley Days (1930–1945 radio series; 1952–1970 TV series), an American radio and television anthology series featuring true stories of the old American West, particularly the Death Valley area. Death Valley serves as the fictional home town of WWE Legend, The Undertaker. ^ a b "USGS National Elevation Dataset (NED) 1 meter Downloadable Data Collection from The National Map 3D Elevation Program (3DEP) - National Geospatial Data Asset (NGDA) National Elevation Data Set (NED)". United States Geological Survey. September 21, 2015. Retrieved September 22, 2015. ^ "Feature Detail Report for: Death Valley". Geographic Names Information System. United States Geological Survey. ^ a b "World Meteorological Organization World Weather / Climate Extremes Archive". Archived from the original on 4 January 2013. Retrieved 14 April 2017. ^ a b El Fadli, KI; et al. (September 2012). "World Meteorological Organization Assessment of the Purported World Record 58°C Temperature Extreme at El Azizia, Libya (13 September 1922)". Bulletin of the American Meteorological Society. 94 (2): 199. Bibcode:2013BAMS...94..199E. doi:10.1175/BAMS-D-12-00093.1. ^ Death Valley National Monument: Proposed Natural and Cultural Resources Management Plan and Draft Environmental Impact Statement. U.S. Department of the Interior. 1981. p. 72. ^ Wright, JW, ed. (2006). The New York Times Almanac (2007 ed.). New York, New York: Penguin Books. p. 456. ISBN 0-14-303820-6. ^ Cunningham, Bill; Cunningham, Polly (2016). Hiking Death Valley National Park. Rowman & Littlefield. p. 209. ^ Sharp, RP; Glazner, AF (1997). Geology Underfoot in Death Valley and Owens Valley. Mountain Press Publishing. p. 195. ^ "Image of the Day: Lake Badwater, Death Valley". Earth Observing System. NASA. 18 March 2009. Retrieved 16 April 2009. ^ Celeste Cosby; Jeanette Hawkins; Jani Kushla; Molly Robinson (2009). "Boron Minerals of Death Valley". Clark Science Center, Smith College. Archived from the original on 17 March 2008. ^ "Weather and Climate Death Valley National Park" (PDF). U.S. National Park Service. July 2007. Retrieved 16 April 2009. ^ a b c "Weather and Climate". Death Valley National Park. U.S. National Park Service. 23 May 2008. Retrieved 16 April 2009. ^ a b National Park Service. "Weather and Climate" (PDF). Death Valley. NPS.gov. Retrieved 29 May 2009. ^ Masters, Jeff. "Historic Heat Wave Reponsible(sic) for Death Valley's 129°F Gradually Weakening". WunderBlog. Wunderground. Archived from the original on 2013-11-05. ^ Kubecka, Paul (2001). "A possible world record maximum natural ground surface temperature". Weather. 56 (7): 218–221. Bibcode:2001Wthr...56..218K. doi:10.1002/j.1477-8696.2001.tb06577.x. ^ WRCC. "Western U.S. Climate Historical Summaries Weather". Desert Research Institute. Retrieved 29 May 2009. ^ WRCC. "Western U.S. Climate Historical Summaries Weather". Desert Research Institute. Retrieved 17 September 2010. ^ WRCC. "State Extremes". Desert Research Institute. Retrieved 8 June 2009. ^ WRCC. "Temperature". General Climate Summary. Desert Research Institute. Retrieved 8 June 2009. ^ WRCC. "Temperature". General Climate Summary. Desert Research Institute. Retrieved 6 March 2014. ^ WRCC. "Period of Record General Climate Summary - Temperature". Greenland Ranch, California. Desert Research Institute. Retrieved 17 June 2011. ^ Parzybok, TW (2005). Weather Extremes of the West. Missoula, Montana: Mountain Press Publishing Company. p. 103. ISBN 978-0878424733. ^ "July Daily Normals And Records" (PDF). The Death Valley Climate Book. National Weather Service. Retrieved 2017-03-26. ^ Masters, Jeff (16 July 2013). "Death Valley records a low of 107°F (41.7°C): a world record". Weather Underground. Archived from the original on 7 May 2013. ^ Masters, Jeff (June 21, 2017). "A World Record Low Humidity? 116°F With a 0.36% Humidity in Iran by Dr. Jeff Masters | Category 6". Weather Underground. Retrieved June 10, 2018. ^ Jeff Masters. "Death Valley records a low of 107°F (41.7°C): a world record". Blog. Weather Underground. Retrieved 19 September 2012. ^ WRCC. "Monthly Climate Summary". Desert Research Institute. Retrieved 8 June 2009. ^ a b "Wet Winter Brings Life to Death Valley". ^ NOAA. "1981–2010 US Climate Normals". NOAA. Retrieved 25 July 2011. ^ Weather2travel.com. "Weather2travel Death Valley Climate". Retrieved 16 June 2011. ^ WRCC. "Western U.S. Climate Historical Summaries Weather". Desert Research Institute. Retrieved 3 June 2009. ^ a b Lema, Sean (2008). "Phenotypic Plasticity of Death Valley's Pupfish". American Scientist. ^ Kettmann, Matt; Grondahl, Paul; Watrous, Monica; Chase, Nan (May 2008). "Not So Dead". Smithsonian Magazine. p. 30. ^ Lingenfelter, Richard E.; Dwyer, Richard A. (1988). Death Valley Lore, Classic Tales of Fantasy, Adventure and Mystery. Reno: University of Nevada Press. ISBN 0-87417-136-9. ^ Manly, William Lewis (1894). "Death Valley in '49". Project Gutenberg. The Pacific Tree and Vine Co.
^ Reynolds, Jerry. "Paradise Found". Santa Clarita Valley Historical Society. Retrieved 2017-10-07. ^ Schneider, Jerry L. (2016). Western Filming Locations California, Book 6. CP Entertainment Books. pp. 132–133. ISBN 9780692722947. ^ Hart, Hugh (August 29, 2011). "Cops Chase Zombies in MTV's Goofy Death Valley". Wired. Wikivoyage has a travel guide for Death Valley. Strauss, Brandon (January 18, 2018). "Rare Photos From The Wild West You Wouldn't Believe Existed: Death Valley". Eternal Lifestyle.